During the visit I reported on yesterday, I also admired the flowers that the recent rains had brought out. 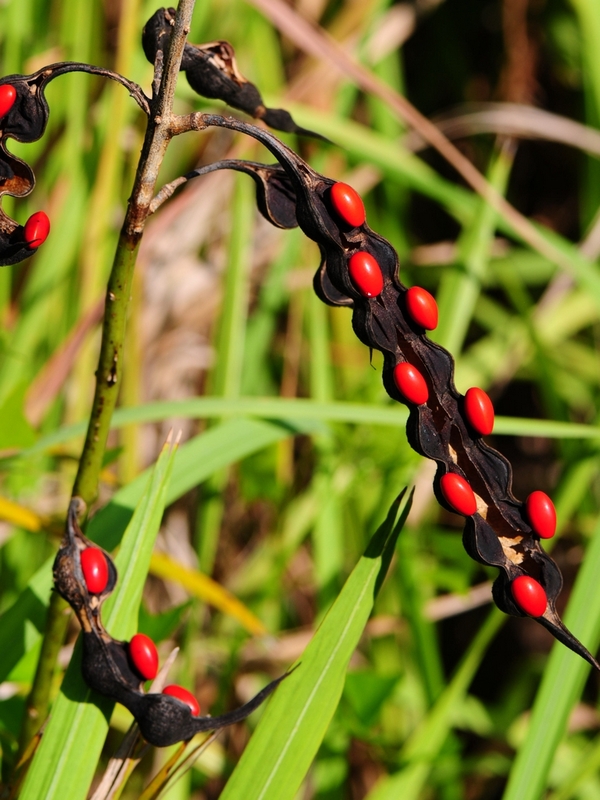 The growing season is in full swing and some of the plants are already setting seeds for next year. 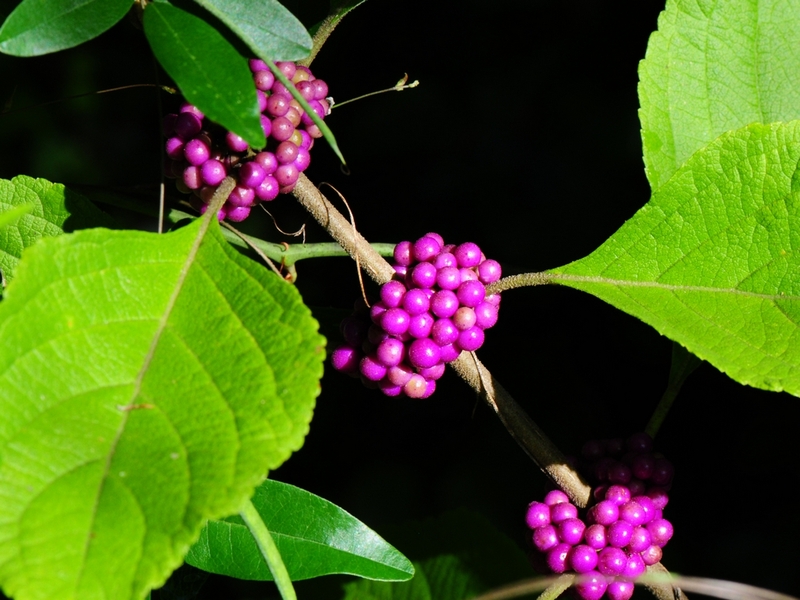 Here is a Coral Bean Plant and a Beautyberry which are putting some bright color into the greenery. 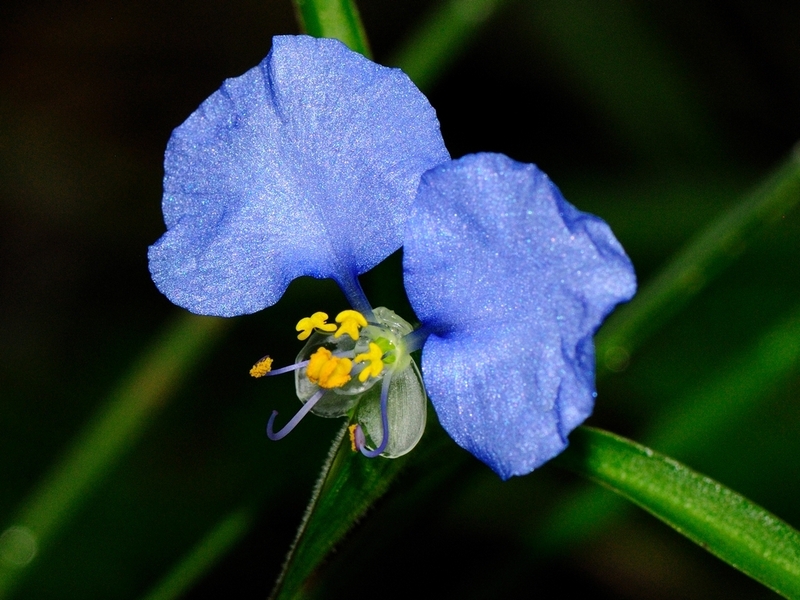 I’m still trying to figure out what this yellow flower is but, the blue one on the right is a Sandhill Dayflower – Commelina erecta. http://portraitsofwildflowers.wordpress.com the yellow flower has been identified as a Partridge Pea – Chamaecrista fasciculata. This entry was posted in Park, Wildflower and tagged beautyberry, dayflower, Hathaway Park, Photography, sandhill, wildflower. Bookmark the permalink. By coincidence I photographed some of your yellow flowers here in Austin (Texas) yesterday. 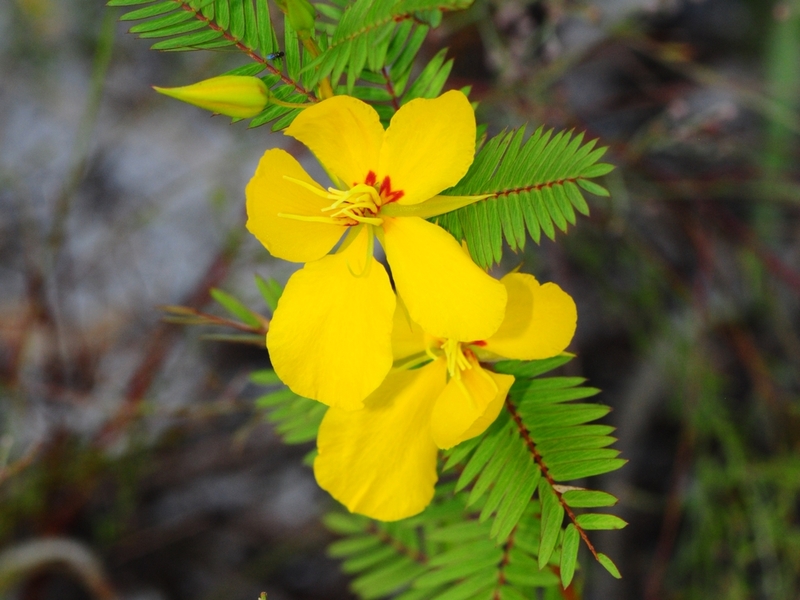 They’re Chamaecrista fasciculata, commonly called partridge pea. Thank you Steve. I appreciate the help.